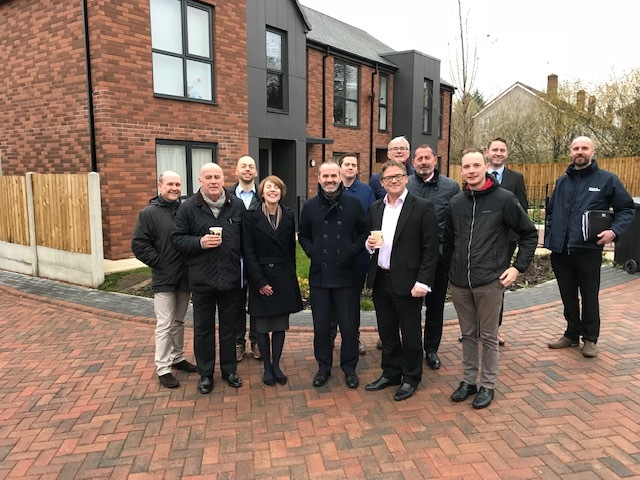 Leeds Federated Housing Association have marked the 33 much needed affordable new homes for rent which they have recently built in Belle Isle. There was a tour of people’s homes and they met residents who talked about the difference their new homes have made to them. The 3-bedroom and 2-bedroom homes were built on land which is owned by Leeds City Council between Newhall Gate and Winrose Drive by Lovell Construction. To ensure the local community benefited from the investment, pupils from a nearby secondary school got a taste of careers in the construction industry on visits to the site and Lovell used apprentices from the local area. The homes are part of Leeds Federated’s Affordable Homes Programme 2015–18 which is partly funded by Social Housing Grant from Homes England. The properties have been designed to fit in with the existing homes in the area. This post is based on a press release issued by Leeds Federated Housing Association.